The BJP president said he was confident the party would win the Assembly elections in the state for the fourth straight time. The Bharatiya Janata Party government in Chhattisgarh, led by Chief Minister Raman Singh, made the state “almost free” of Maoism and developed it as a centre of power and cement production, BJP President Amit Shah said on Saturday, PTI reported. He was speaking in Raipur after releasing the party’s manifesto for the upcoming Assembly elections. 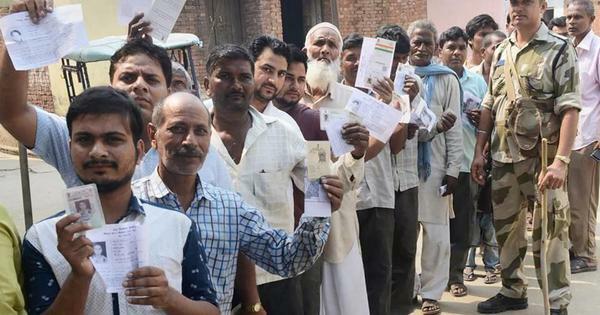 The state will vote in two phases on November 12 and November 20, and the results will be announced on December 11. Campaign for the first phase of the polls will end on Saturday night. Shah said any party that thinks left-wing extremism is a medium for revolution cannot do any good for Chhattisgarh. He was purportedly referring to the Congress. The BJP chief said he was confident that the party would win the Assembly elections in the state for the fourth consecutive time. “The BJP government, under Chief Minister Raman Singh, has contained Naxalism and made the state almost free of it,” he said. He lauded the Raman Singh government for initiating welfare measures and for allegedly making the Mahatma Gandhi National Rural Employment Guarantee Act scheme corruption-free. Shah said the state was the first to have a legislation on skill development. 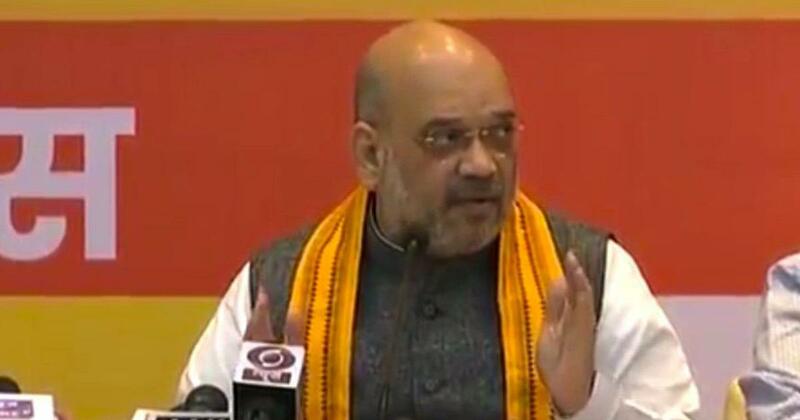 “Taking on the Congress’s propaganda and working tirelessly for the state’s development for the last 15 years is a big challenge,” Shah said. Shah said over 3.48 lakh people belonging to Scheduled Caste will be given 7 lakh acres of land. “After becoming PM, Narendra Modi focussed on Chhattisgarh,” he said, adding that farm production has risen, while roads and irrigation have been developed. The BJP president claimed that Chhattisgarh has become a “power and cement hub” under the Raman Singh government, The Indian Express reported. “Under BJP rule, Chhattisgarh is now a welfare state,” he added. On Friday, Prime Minister Narendra Modi said the Bharatiya Janata Party government in Chhattisgarh would continue to work for the development of the state. “The ‘urban Maoists’ who live in air-conditioned homes in the cities, look clean and whose children study abroad, remote-control the adivasi children in the Naxal-dominated areas,” Modi said while addressing a rally in Jagdalpur in Bastar district.